This is a guest post from Duncan Mackay, who helped massively to get the board games club started and has been a regular attendee. 2 years ago the Board Games Club at BGB was started on the last Sunday of each month as an opportunity for a group of adults to sit around and relive their frustrated youth playing classic games like Monopoly, Cluedo and Risk. We soon discovered that there is now a whole new world of modern board games that don't drag on for years and end up with your younger sister throwing the board against the wall declaring that everyone's a cheat and life's not fair! when the shop was overrun with 20 of us. 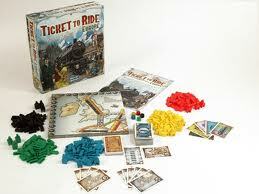 Some new games have entered into our list of favourites this year including Al Hambra, Stone Age and Cargo Noir. On the other hand there were a few games that will never be mentioned in our presence again (yes, 'Munchkin', I'm talking about you!). of the games that we enjoy only take about a maximum of 5 minutes to explain. 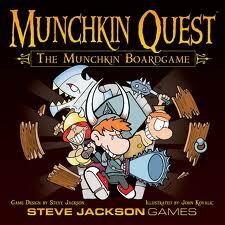 If you've ever enjoyed playing board games, our Top Ten list is worth checking out and we hope to see you soon. Our next meeting is on Sunday 24th February 2013 at 1.00pm. I'd just like to add that it's open to everyone, no matter what your age. The group is always looking to be introduced to new games, so please bring one along with you, if you think we might like it. Hey, would you like to buy a book? 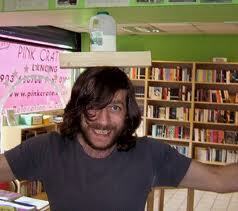 Many people who visit this blog live many miles away from the Big Green Bookshop. SOME DON'T EVEN LIVE IN LONDON. It is only through the magic of the Internet that they know of the bookshop's existence. Let's just stop and think about that for a second. But sometimes people buy books from us online. It's always a nice surprise when this happens, for lots of reasons. Here are some of them. 1. People don't know that we sell books online. 2. Our website isn't the most user friendly, when it comes to buying books. 3. We only have about 200 books on our website, whereas we stock about 8,000 (and can get a further half a million titles within 24 hours). 4. We're not as big as other bookshops, which means our buying terms from publishers aren't as favourabe. This means we simply can't afford to discount as much as other places. So, in answer to the four potential stumbling blocks listed above..
1. You now know that we sell books online. Email (enquiries at biggreenbookshop dot com). Fill this form out on our website. Take a chance and tackle the user unfriendliness of the website. 3. Now you know that we have a 'virtual' stock of half a million titles, which we can get in the post to you in a couple of days. (wow, that's almost like Amazon, I always wondered where they managed to store EVERYTHING they actually said they had in stock). 4. We offer FREE P+P in the UK. That's almost like a £2.80 discount right there! And what's more WE ARE OFFERING A DISCOUNT. Especially for all of you who read this blog. When you place an order online, if you use the secret word "SPLINTERS", you will get a 10% discount on your order. So if you're emailing or tweeting an order or you're ordering through the form on our website, if you use the word SPLINTERS in your enquiry, we'll give you a 10% discount. We've also set this up as our discount code on the website. Which is very handy if you want to order a copy of Splinters by Joseph D'Lacey . We can deduct the money online too. You don't even have to visit us. And finally, if all this isn't enough, we'll put a sticker on the parcel saying "Mmmmm, new books". We sent out this press release a couple of weeks ago about a thing we are doing with the brilliant publishing company, Angry Robot. The Big Green Bookshop in Wood Green is proud to announce that we’ve teamed up with Angry Robot Books. This exciting and innovative publishing company, who specialise in Science Fiction and Fantasy has already proved hugely popular with our customers. We’re always looking for more effective ways to introduce great books to an even wider audience and hopefully this team up will mean that more people will get to read the books that they're publishing. 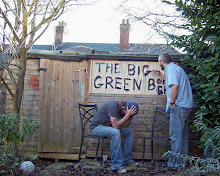 The Big Green Bookshop is dedicating a window and premium shop space to highlight the finest of Angry Robot's titles and will promote their titles on its website and blog with reviews and offers. We are well aware that the most effective way of selling titles in the shop is by personal recommendations. 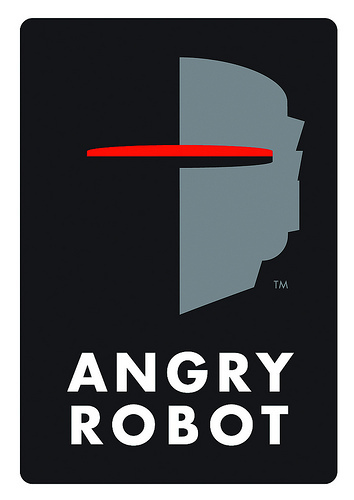 By giving Angry Robot the our seal of approval, we hope that it will encourage a new audience to their wonderful list of titles. This team up will also mean that the shop will be one of Angry Robot’s main venue for London events and launches over the next 12 months, so look out for some great events in 2013. In Simon and Tim at the Big Green Bookshop we are very lucky to have met two forward thinking chaps who we are delighted to say see real potential in our list and ideas. 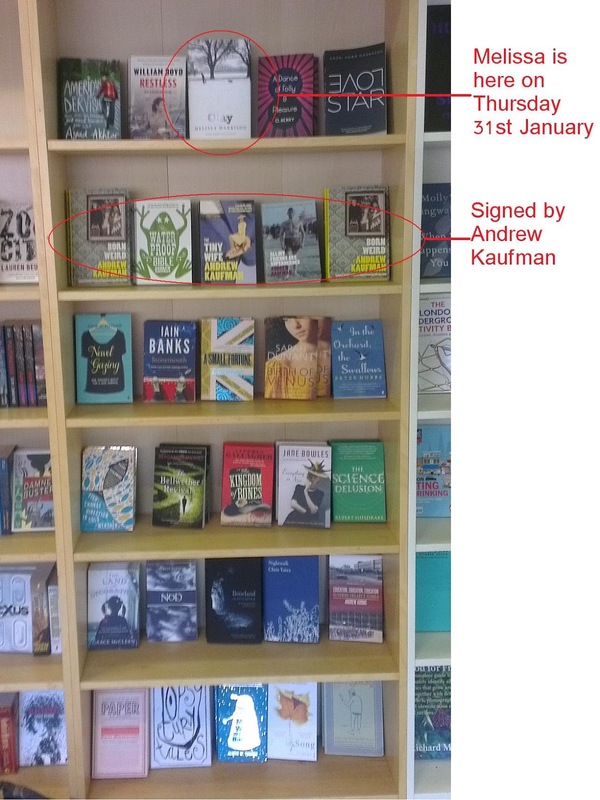 Over the course of 2013 we should see several really special targeted promotions, reviews, events and a whole host more for Angry Robot at the Big Green Bookshop. So, kicking off this new mighty team up, we are introducing The Angry Robot Book Group. This is stage one in our campaign to get as many people as possible to join the Angry Robot army. Essentially, it's a Book Group dedicated to their books. The first book we've chosen is a belter. It's Nexus by Ramez Naam. When a young scientist is caught improving Nexus, he’s thrust over his head into a world of danger and international espionage – for there is far more at stake than anyone realises." Published earlier this month, the book has had some really amazing reviews and we'd be really interested to find out what you think of it. The lovely people at Angry Robot have kindly agreed to let us have the books that are chosen for the Book Group at a special price. Which means that we can offer them to members of the Book Group at a special price! 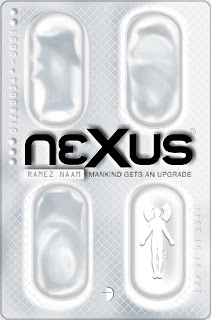 So, instead of paying £8.99, Book Group members can get copies of Nexus in the shop for just £5.99. You have six weeks from now to read the book, as the first meeting of the Book Group is on Thursday March 7th at 7.00pm in the Bookshop. But hey, if you don't get a chance to finish it or if you don't read it at all and you're just interested in seeing what the group's like, feel free to join us. This is a FREE group, but if you fancy bringing along a bottle or some snacks to share as we dissect the book, please do. But do come along. We think that the stuff that Angry Robot is producing is fabulous & we want to share this with as many people as we can. I was on holiday a few years ago. We'd decided to go camping and had gone to one of those places that had yurts. There were no yurts free, so we stayed in a tipi (tepee?). My daughter Freya was one at the time. Anyway, we couldn't get the stove to work initially, and when we did, despite following all the instructions, smoke filled out tipi. We made a hasty escape, eyes streaming. . It then started raining followed by a howling gale. 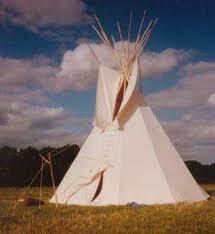 As darkness fell, raindrops battered the tipi and despite our best efforts Freya did not want to go to sleep. When she finally nodded off (after what felt like hours), we lit candles and snuggled under as many blankets as we had to try and keep warm. 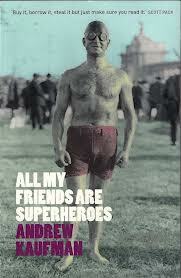 I got a copy of All My Friends Are Superheroes out of my bag and in the dim candle light started reading it. I was mesmerised. For those of you who don’t know about the book, it follows Tom, a regular guy, whose circle of friends are all superheroes, including his fiancée, The Perfectionist. At a party following their wedding, one of The Perfectionist’s exes, (The Hypnotist) uses his powers to make Tom invisible to her. Six months later and The Perfectionist still unable to see or hear Tom, decides to move away from the pain this is causing to start a new life. As she sits on the plane Tom (who is right next to her) senses that he has until the plane touches down to make her see him or all will be lost. At little over 100 pages, Andrew Kaufman has written a little masterpiece. It is heart warming, funny, sad, odd and magnificent. Despite our tipi holiday being less than ideal, I am very grateful to Mr Kaufman for allowing me to escape the gloom for a few hours. Since then, he’s had a few other books published, including The Tiny Wife and Born Weird. Andrew was over in the UK last week (he lives in Canada) to promote these. 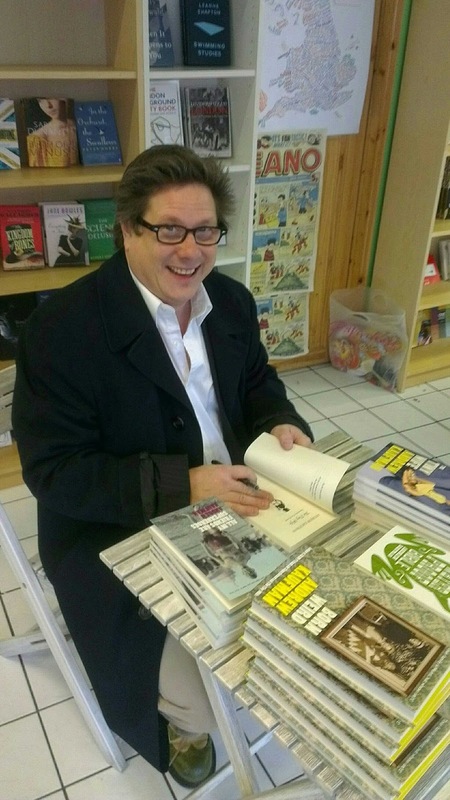 He very kindly agreed to visit the bookshop to sign copies of his books. If you get a chance, please read his stuff. It’s a real delight. World Book Day 2013. Let's Do It. Here's a letter we sent out to local schools. We want to help make World Book Day truly spectacular. If you're an author and you want to get involved, please contact us. If you're a school (anywhere in the country) and you want some World Book Day magic to come to your school, let us know. World Book Day is being celebrated on Thursday 7th March this year and we’re looking to help you hold book related events during the whole week, starting March 4th. We’re in the process of contacting authors to find out if they are available to do school visits that week. If you’d like an author to visit your school, please let us know as soon as possible. This is a great opportunity for the children to meet an author, ask questions and listen to some fantastic stories. It couldn’t be easier for you. We will send posters and promotional material prior to the visit. We’ll send you a letter which you can give to parents/guardians letting them know about the visit. There will be someone to look after the author. We’ll supply the author’s books to sell on the day. The important thing for us is that the children’s experience is a positive one. The children can use their World Book Day voucher as part payment. Last year we helped organise over 20 events with schools to celebrate World Book Day. We’d love to help organise even more this year. Since opening the Bookshop we have tried to raise the profile of literacy and get people excited about books. We would love to work with you in the future and look forward to hearing from you soon. 'tis the devil's work, I tell thee. Whether you like them or not, they are here to stay. Waterstones sells them, Blackwell's too. Foyles, John Lewis, Argos. Oh, and Amazon. Some Independent bookshops have signed up to sell Kobo e-readers already. It's far too early to tell if this was the right decision or not. We decided not to sign up, for various reasons. I guess one of those reasons was that it was the only offer on the table. We weren't given options. 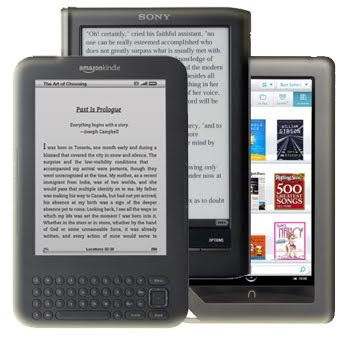 The Kobo might well be the best e-reader out there, but it would be nice if we could be the ones making that decision. But we can't, because we are but one little bookshop in North London and we don't have the same clout as Waterstones or John Lewis for example. Let's say 40 or 50 indie booksellers got together and decided that we wanted in on some of that ebook action. Perhaps we could decide what would be best for US. This being the case, we could then approach E-Book suppliers, as a group of shops and see if we could negotiate something better. The Indie Bookshops I spoke to made positive noises, or as positive as Indie Bookshops get, about this idea. So i'm putting it out there. If you're an Independent Bookshop, who'd be interested in being part a group to look at what e-reader you like and what platform for selling downloads is best for you, then let us know. You only have to be interested, that's all. What harm can being interested do?? If we can get a big enough group together, then maybe, just maybe, we can find a great solution to this issue. Wood Green Literary Festival. Your Virtual "Suggestions Box"
We are about to start organising the first Wood Green Literary Festival. The council has awarded us £10,000 to do this and the enormity of the task in hand is fairly mind boggling. What with opening a new shop in Brookmans Park and keeping our lovely Brampton Park Road shop going as well, 2013 is going to be hard work. But we laugh in the face of hard work. We pooh pooh the idea of sleep. ....and we ask for as much help as we can possibly get. In the next week or so we'll be announcing an open meeting, in which anyone and everyone who wants to help us with the Festival, or who wants to offer us advice or suggestions is most welcome to come along to. But there are many people who won't be able to come along to this for one reason or another, but who still want to help or offer suggestions. 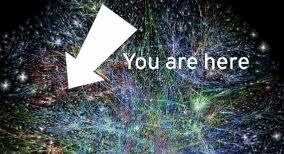 And this is where you can. We want the Festival to be your Festival, where you get to decide who we should try and book, what events should be included and what we should try to achieve. Of course we have our own ideas too, but these won't necessarily be right for everyone. 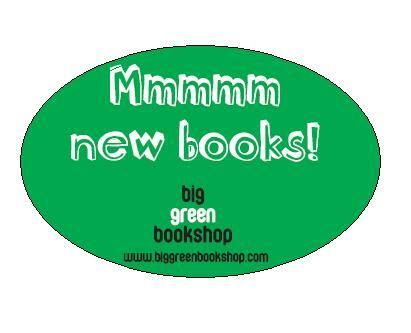 You can email us on enquiries@biggreenbookshop.com letting us know what you'd like to see. You can put your thoughts on the comments page of this blogpost. We will have a Suggestions Box in the shop from Wednesday, so you can either come in and put something in there and you can post something to us. You can stop us in the street and tell us. You can join our Facebook Group "Big Green Bookshop" and write a suggestion there. We just want to hear from you. We've never attempted anything as big as a Literary Festival before and we've never had a budget for anything before either, so this is going to be a huge learning curve for us. But, with your help and support, I reckon we can put on something pretty special. Hope you can get involved.